Rating : 4/5 - Very Good. Phury has sacrificed himself in order to protect the bloodline of the Brotherhood. It is his job to be the father to many sons and daughters that will later in life protect the traditions of the vampire race, and fight any who may wish to vanquish it. He is Primal of the Chosen, an honor among his people, and one that he should be proud. Cormia is destined to be the first mate of the new Primal of the Chosen, but she wishes to be the first and only. When first given the task she feared it, and wished she wasn't chosen to be the first. Since meeting the Primal, Cormia has fallen for him, and she is determined to win not only his body as she is taught to, but also to win his heart. She will have to try hard as Phury has never allowed himself to know pleasure, joy, or the love of a woman. Phury must decide in his heart what is more important for his race, and himself...love or duty? Phury was never one of my favorite characters within the Black Dagger Brotherhood, but he's growing on me. He's a male that looks out for others, and harbors guilt for those he has failed. It's difficult for him to let things go, and this drives him crazy. While he is very giving toward his brothers and those in need of him, he is also quite selfish. Some of the things he does are quite stupid, and not only hurt himself but those around him. 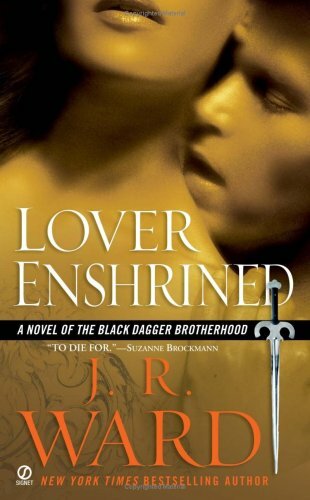 I had doubts about Phury being able to do good for the race of the vampires in this installment, and worried where this story would leave the Black Dagger Brotherhood. Cormia is gentle, kind, and unknowing of the world that the Brother's live in. She has only ever known the whiteness of the Chosen's Sanctuary, and is in fear and awe of the new world around her. Simple colors make her giddy, yet she feels guilty as though she is wrong for enjoying what her eyes have been gifted to see. I particularly enjoyed being able to witness Cormia's changes throughout the novel. It was as though she were a child that had just been brought into the world, and has to learn how to talk and walk, although it wasn't as complex. I've read each and every installment up until Lover Enshrined and I still can't get enough of this series. There is a great deal of action in this series, and it will keep you on the edge of your seat. Each of the characters of the Black Dagger Brotherhood have their own problems, and they either find a way to deal with it, or surpass it, and that alone is one thing that keeps me coming back. I want to see these characters succeed, and thrive, but I also fear for them, because they live in a dangerous world. I can only hold on for the ride. Read an excert of Lover Enshrined here. I received my copy from an online swap site. It was so long ago that I can't recall which. Scribe Virgin! I so love this series! 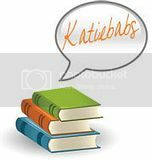 booklover - Phury was a little more annoying than the other brothers in my opinion..lol..